Breakthrough duo The Chainsmokers brought Visual Endeavors on to design their series of branded headline shows in 2016. These took place first at the iconic Red Rocks Amphitheatre in Colorado, and also in Nashville and Charlotte. 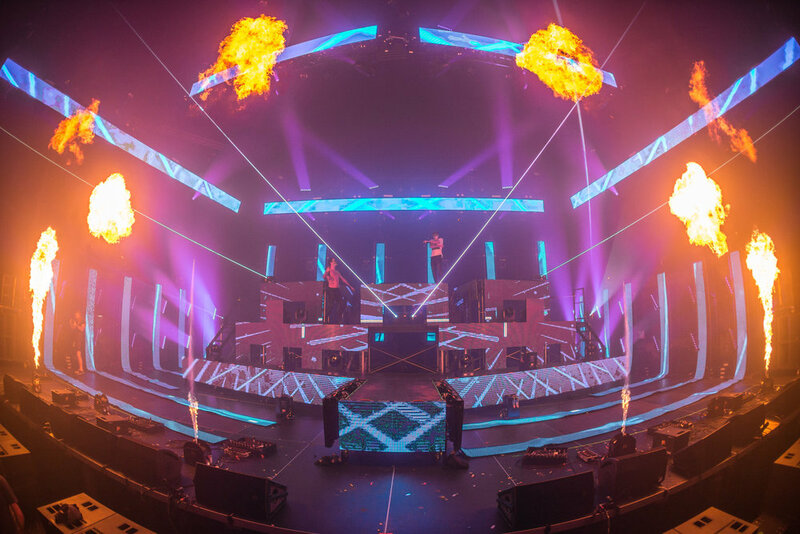 The design implemented The Chainsmokers custom DJ booth structure and added a series of towers with video panels flowing down to the stage, as well as sizeable overhead truss arrangement, lasers and special effects. Operator Aaron Kovelman ran a beautiful show at each venue.